The largest overall sportsbooks are mostly publicized as the best on the strip. Seasoned sports bettors highly regard these as being the biggest books that are available in the casinos throughout the city. The Las Vegas casinos that have their own sportsbook advertise their size. There are plenty of casinos that offer large, medium, or small locations for sports betting. The casinos with the largest overall sportsbooks are The Palazzo, South Point and Westgate Las Vegas. These three casinos are quite similar. Bettors can make the most out of the amount of seats. This makes them great locations for large crowds. 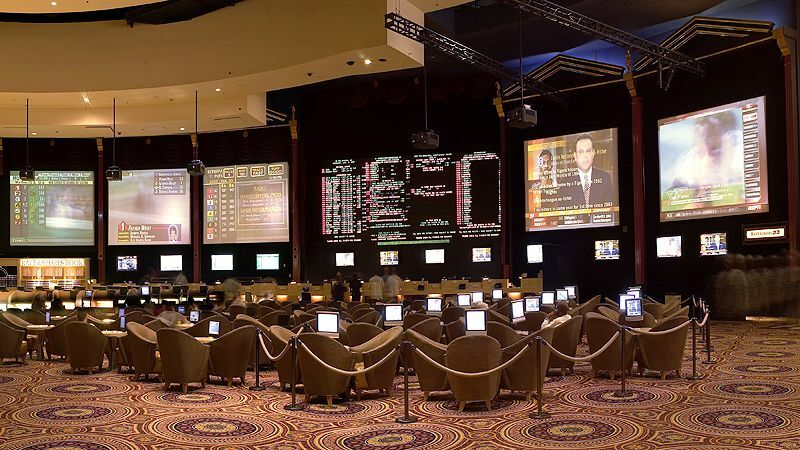 The sports can be seen on the multiple screens, where bettors can comfortably take a seat to bet on each game. The number of seats at The Palazzo is 600, while Westgate Las Vegas has 350 seats. South Point has a decent amount of seats with 320. There are different types of seats at each location. The largest overall books usually have enough seats to accommodate hundreds of betters without leaving many standing. Having enough seats is important for any sportsbook. You will find different amounts of seats at the Las Vegas largest overall sportsbooks. Las Vegas Sportsbooks Guides: Most Equipped, Top and Newest Sportsbooks locations.